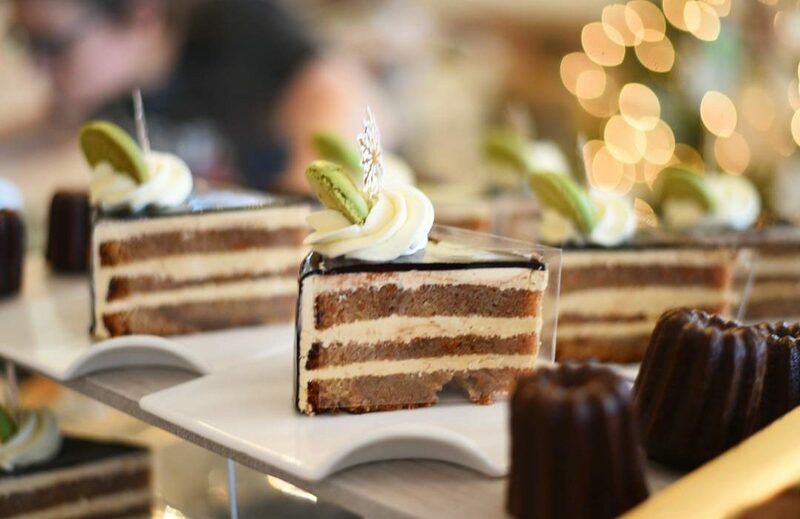 Sweet, Sleek and oh so Chic Boutique Bakery located in South Saint Louis. We specialize in upscale French Pastry and Couture Cakes. Natalie’s Cakes and More was founded in 2010 by Natalie DuBose. Natalie started off selling dessert cups and cake slices at a local St. Louis Flea Market. The more cakes she baked, the more she sold. Popularity for her signature caramel cakes and sculpted buttercream iced cakes grew and Natalie was able to start selling her cakes full-time. They dont just bake cakes, they create an experience. Using luxurious ingredients like Valrhona chocolate, flagrant vanilla beans, organic nuts, and exceptional liqueyrs — they masterfully blend these flavors that will have your pallete wanting more!